You can learn a lot about cannabis, marijuana, and CBD on the Internet. But the search doesn’t end with knowledge of these three terms. You will come across the name purified CBD, or CBD isolate, but first let’s understand what it is. There are various types of cannabis plants, hundreds of marijuana products and many kinds of CBD extracts. The extract comes from the cannabis plant, and its properties depend on the part of the plant from where that CBD originated. Before we proceed further, we must know the parts of the cannabis plant. You will see CBD products that are from hemp or marijuana. There are various ways for extracting CBD. One popular method is the CO2 method which ensures full extraction and purity of the ingredients. For CBD isolate or only removing CBD from the cannabis plant, the chromatography method is used. The hemp plant part of the cannabis plant is used majorly for extracting CBD Isolate. Cannabis plants have thousands of essential compounds that contribute to the users’ health positively. However, CBD is the cannabinoid that is most beneficial. To use CBD for clinical use companies are investing in extracting this compound from the cannabis plant. When we obtain only CBD, without any other cannabinoid, terpene or the essential component of the plant, this purified form of CBD is also called CBD Isolate. This form of the cannabinoid is 99% CBD only. There is no other cannabinoid in this type of compound. If you pick up any supplement from the market, it will contain CBD, but it may also be rich in phytonutrients, terpenes, and other cannabinoids. 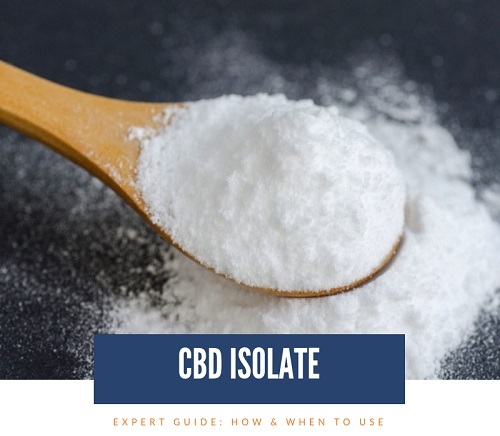 What sets CBD isolate apart is that it is purified several times to get rid of all other plant components and achieve the purest form of CBD alone. After repeated purifying steps, the resultant CBD molecules are exclusive and refined. CBD Isolate is without all other compounds found in the cannabis plant. The purified CBD is dry and crystalline since almost 99 percent of the plant nutrients and oils are absent. 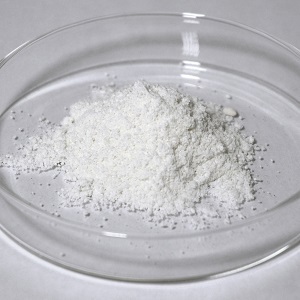 The color of purified CBD is white due to the multiple processing cycles. Colors for regular CBD range from green, brown to caramel brown and golden yellow, but the color of CBD Isolate is stark white. Why Choose CBD Isolate Over Whole Plant CBD? The primary goal for extracting pure CBD was to avail the goodness of this cannabinoid without the psychoactive effect of another cannabinoid called Tetrahydrocannabinol. THC causes the high that is unacceptable for numerous users. Due to lifestyle and work routine many CBD users prefer stating alert and active. The whole plant extracts have many flavonoids, terpenes, and cannabinoids that contribute to the health benefits users get from this supplement. However, to avail only the goodness of CBD and no other effect such as feeling sedated or tranquil, the process simply removed THC. It is important to note that the goodness of CBD is not less if CBD Isolate is used. This fact emphasizes the fact that purified CBD will benefit you in ways that are known, even if there are no terpenes and flavonoids present. But the real question is that whether CBD isolate has the efficacy to treat various health issues. The primary method to separate pure CBD from the plant extract is chromatography. It is the method of using cannabis extract as the raw material which is passed through a chromatography machine to obtain purified CBD crystals. The whole plant CBD is extracted through a different procedure. It is put under pressure at temperature using CO2 (carbon dioxide), which is an efficient way. However, the chromatography is more specialized, and therefore the product that we get is more exclusive. Well, you might require some equipment, but purifying CBD is filtration of the hemp oil to the extent that only the cannabidiol is left. As we mentioned earlier, the CBD Isolate is 99% pure. The purification requires particular methods of extraction. 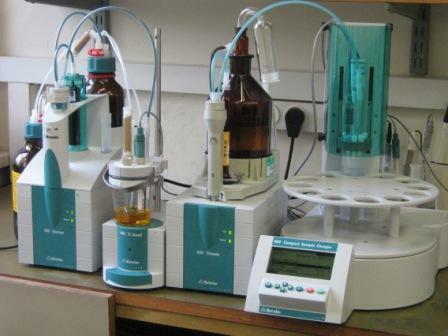 The technical way to extract CBD is chromatography, but there are methods of making a small-scale chromatography machine. This machine consists of a column with fine sand in it, and even silica is used for this method of extraction. You will also require a pump to apply pressure so that the purified CBD is collected in the attached collection chamber. The CBD extract is poured into the sand column and pressure is applied. The smaller molecules of CBD move downwards, and the weight makes this process faster. This method works well since CBD molecules travel faster while the larger THC molecules move down slowly. The purified CBD is collected in the chamber and can be processed again in the same way to ensure further purity. There is a store near our house which has all convenience products such as gums, packaged snacks, and even coffee. Till last year, it was like any other convenience store you would know, but of late, you can see a lot of CBD products on the shelves. There is CBD gum, latte, brownies, smokes, and even tinctures and creams. CBD is a universal product now, but very few people know what it is! We all think that it is the cannabis plant, which is not wrong, but it is not even the whole truth! Yes, we knew cannabis was a drug with severe psychoactive effects, but CBD was not known back then! With time and advanced study of natural ways to eliminate health issues; researchers found out that cannabis plant has some magical compounds called cannabinoids. One of these cannabinoids is cannabidiol (CBD) and voila! Now we see CBD supplements helping millions of people with significant health issues such as anxiety, epilepsy, sleep disorders, diabetes, and even cancer! What Makes Isolate Different Than Whole Plant CBD for Users? Many users want to avoid feeling high. They want to remain alert so that they can work or maybe they need to pass a drug test. THC in the whole plant extract can create a ‘high’ feeling, and this may make users feel sedated. The THC content in the entire plant CBD extract has a lot of sound effects on users. The hemp plant, which is part of the cannabis plant has the highest amount of cannabidiol (CBD). It is a non-psychoactive compound which can help users with many health issues. The purified form of CBD is used in several products to give users the right amount of the compound, but the full spectrum CBD is still more widely used in clinical products and supplements. This difference is due to the other kinds of cannabinoids that are present in the plant and have positive effects on our bodies. Other than cannabinoids, other compounds help with the psychological and physical issues in users. A study was conducted to understand the effect of CBD according to the amount consumed by individuals. Observation showed that before or beyond a precise dosage, the result of CBD was evident. If you are taking little or more CBD, it will have no real effect! The maximum impact of purified CBD came after six hours of a dose, but later with higher doses, the results were insignificant. The Lautenberg Center for General and Tumor Immunology studied CBD for its bioavailability and effect to correct various health issues such as anxiety, inflammation, and depression. Some people might consider this to be a study that shows the limits of CBD; however, every person consuming this supplement can find a balance for themselves and maintain a regular dosage to gain from this natural compound. Why is CBD Isolate Used in Medicines if it Has Limited Efficacy? The purified form of CBD does not have the smell or odor or even color like the Full Spectrum CBD. This lack of color and taste is due to the number of filters that this cannabinoid form is passed through. In contrast, the Full Spectrum CBD is of darker colors ranging from dark brown, green to deep golden. The CBD Isolate has no other component. Therefore, it offers all the benefits that users want. On top of this, the products prepared with the CBD Isolates will not have the odor or color of the whole plant CBD. The amount of research done on CBD is very little in comparison to its popularity and use these days. There is very little material available for us to determine whether it does cure all the disorders that many researchers and users claim. Researchers are continually working on it and trying to find out more about this supplement, but the work that is available for us to read up on right now is less. The FDA does not regularize the use of CBD in different medicines or supplements, due to which there are several manufacturers and small businesses that no check for quality and type of the cannabis plant that they use for making different CBD products. This lack of regularization requires the user to be careful about buying cannabidiol cbd oil from the right place. The most common way of consuming the purified CBD is in the form of an oil that is placed directly under the tongue, using a dropper. The CBD gets absorbed in the bloodstream through the mucous membrane and provides amazing effects like alertness and focus to users. Juices, smoothies, coffees are the common ways in which you can use CBD Isolate. You can find chewing gums, snacks, sweets and sweeteners that contain CBD. The list can go on, and people are adding to it according to their taste and liking. Full Spectrum CBD vs CBD Isolate – Which One Better ? People have heard about CBD being the real ingredient that helps them overcome health problems. This is why they like to use a purified form of CBD, but in reality, the full spectrum CBD has a lot to offer! The CBD Isolate can be a choice for people who do not want to consume any THC. The effect of both the types of CBD supplements is positive, and you can find the one that suits you. If you wish to feel alert and focused, or if you want to pass the drug test and you think that full spectrum CBD might have more THC than needed, you can choose the CBD Isolate supplements. CBD In Sweets And All That You Cave! You can find CBD in every shape and form! If you have a sweet tooth, you can opt for CBD sweets and beverage sweeteners. You can also find chewing gums, gummies and candies that have CBD and are beneficial while satiating your sweet taste. CBD brownies and snacks are also commonly available. Every grocery store has numerous CBD rich products like coffees and teas. For topical use, you will find tinctures and creams. The most common form of CBD is the tincture that is ingested using a dropper. This form of the supplement is most common, but other products are also widely available. You will find pure CBD crystals also that are best for healthier skin. Vaping powders and pastes are also available easily. All the CBD Isolate products do not produce any visible short-term effect such as sedation. You will internally feel stronger and in control of your emotions and energy. This positive effect of CBD helps people focus and improve their quality of living. If you wish to maximize the potency of your CBD supplement, add the CBD Isolate crystals or powder to that product! It will yield better results and you will not only feel energized but gradually healthier! The CBD Isolate offers a boost to your supplement, providing a remedy for the multiple health disorders that are common among people of all ages. How To Identify CBD Oil Colors?